As I get older, I’ve had some age-related changes in how I think about what’s important. One of my favorite things now is seeing people, animals, and other life that is growing, well-taken-care of, able to be happy just by being. This feeling came about slowly over time, but now the feeling is so intense and fundamental that it has become non-conveyable, like how I can share why I’m happy about a sunny day but not what it feels like to have blue eyes or be a man. Today I’ll show you where this came from. 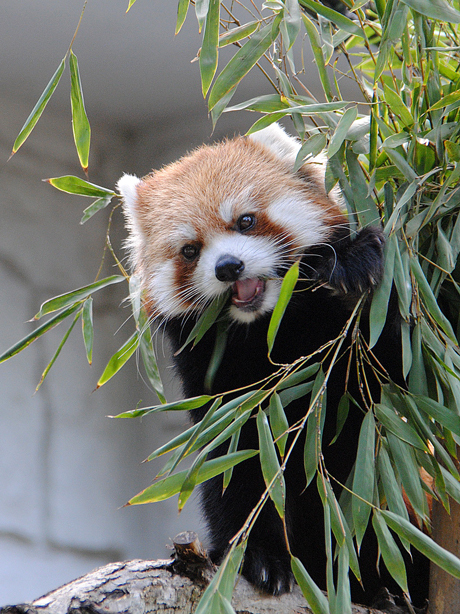 At the Maruyama Zoo in Sapporo, Japan, there are two red pandas, Coco (an 11-year-old female) and Seita (a 12-year-old male). 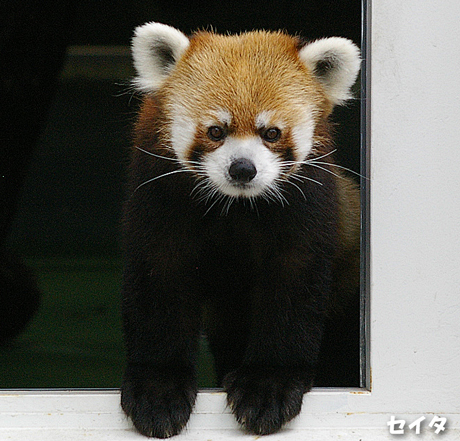 Coco came from Saitama Children’s Zoo in November 2007, and Seita joined her from Chausuyama Zoo in July 2008. They might not be special if it weren’t for Miyano Mayu’s blog, where she has celebrated “the little things in Hokkaido” nearly every day since moving to Sapporo in 2005. 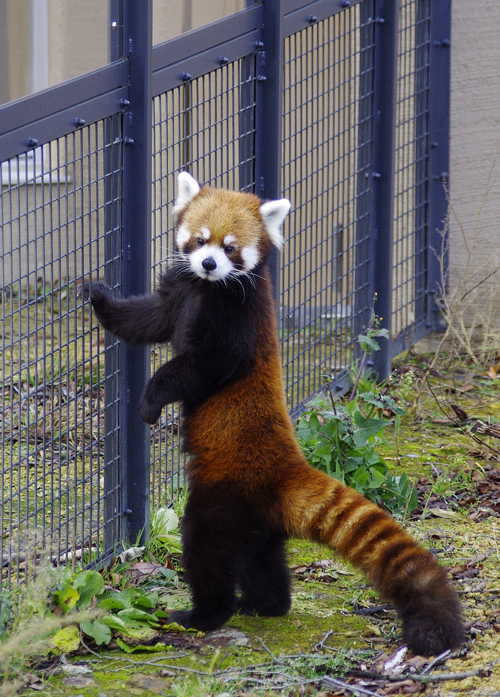 The number of photos and videos she’s posted of Maruyama’s red pandas must be in the tens of thousands, but her joys of observing life extend around and beyond her beloved zoo animals, parks, mountain-trolleys, and the epic snowfall of her home city. 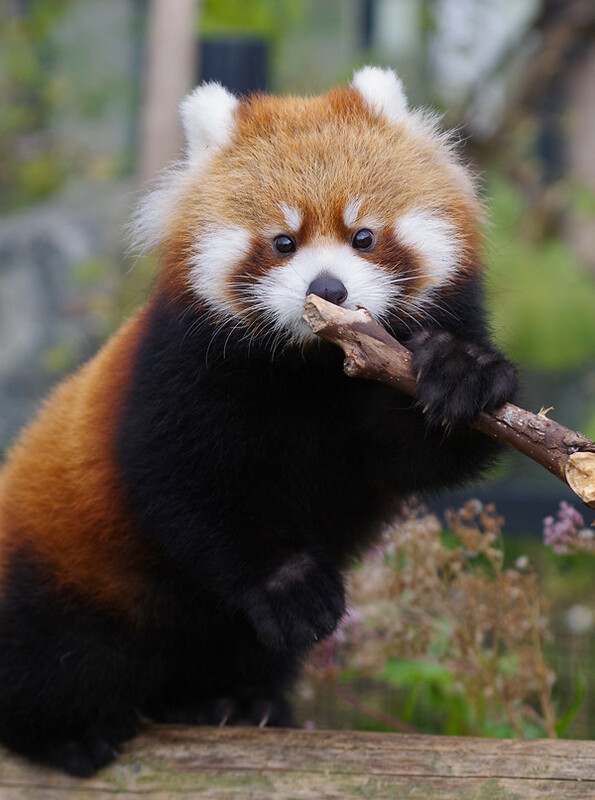 Red pandas are rare and precious, less than 10,000 remaining in the wild, limited to the stretch of highland jungles and bamboo veins around the Himalayas, across China, Nepal, Bhutan, India, and Myanmar. Through Mayu’s succession of three blogs and her YouTube site (Mmovies21), you can slowly watch Coco and Seita growing up together, fighting for apples, climbing up and down and sideways around their enclosures, snoozing and relaxing in the sun, safe from predators like snow leopards, and poachers who could sell their pelts for the price of a small car. Humankind cannot account for what we consume in the world, but we do have zookeepers and volunteers that can make space for these animals to just be, where we can learn enough to care for them. Zoos are required by their charters and policies, to vouch for the conservation of species, and to appeal to our desire to protect the world for our children. Perhaps this appeals to our self-interest, how if we don’t preserve the world, we’ll be worse off in the future. But it’s subtly disingenuous, because I think the best outcome for a zoo is giving a place for animals to be loved. Humans have no ways to deeply interact with red pandas, and these adorable little creatures are not actually that warm, caring, or emotionally relatable, being devoted to eating bamboo and sleeping 16 hours a day. Like newborn babies that just need but have no means to give back, they can only be loved. Coco and Seita have conceived three times, first giving birth to twin girls Lily and Lila in 2010, another set of twin girls Kin and Gin in 2012, and finally a boy Hokuto in 2014. With all the girls being born, Maruyama Zoo brought in a sprightly 2-year-old male from Chiba Zoological Park named Eita in late 2013. They’ve had wonderful spaces to live, full of overhead bridges and tracks, a giant oak tree, and both indoor and outdoor enclosures. The more videos you watch, you start recognizing their unique faces and tails, as well as their little moods and attitudes and power-structures with each other. When Kin was moved to Kushiro Zoo and separated from her sister Gin in May 2016, after seeing those two grow up together in hundreds of videos, I was devastated. However, Kin’s move helped Maruyama make space for something wonderful. After unsuccessfully trying to conceive in 2015, Gin and Eita had a baby girl in 2016. Baby red pandas are covered in fluffy gray fur and are tiny enough to be weighed in small plastic buckets, which is done frequently to track that the baby is growing successfully and being fed appropriately by the mother. Red panda infants have a high mortality rate, subject to both neglect or over-parenting, as well as fungal infections and diseases like canine distemper. So every time Mmovies21 or Cattail Sapporo posted a new video, and the baby’s weight ticked up slightly higher, and after every passing day it seemed more likely that the baby would survive, it was something to celebrate and cherish. Marumi is now 8 months old, a puffy round bundle of fur and spirit, and I’ve watched her learn to eat apples and grapes, learn to shimmy over logs and eventually climb, discover how fun it is to chase her mother’s tail, and explore the world with wide-eyed wonder. Coco and Seita are now grandparents, and Maruyama’s family bears continue to thrive and be loved. I don’t think happiness is a journey or a right or something you discover. I think you build and cultivate it with the world, and are thankful for it, because it cannot be promised or guaranteed. 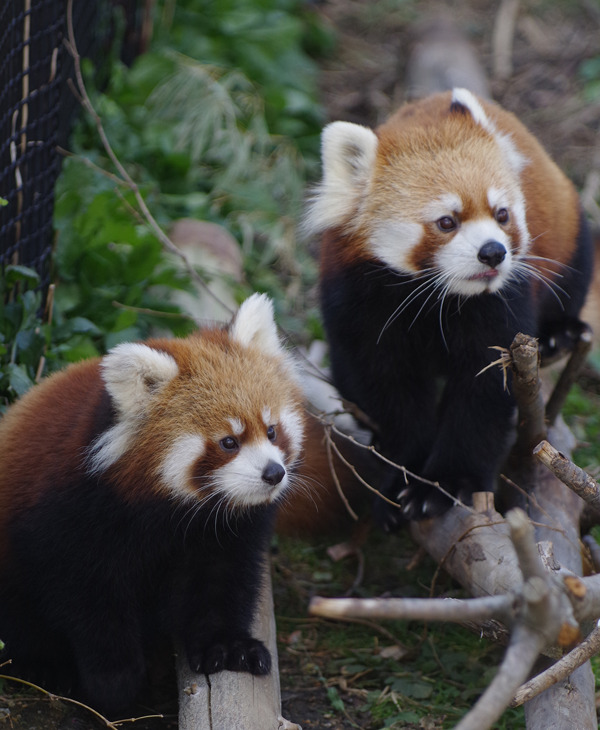 In October of last year, San Jose got its very own red pandas, a 2-year-old male named Will Smith and a 5-year-old female named Gaila. One of my favorite hobbies is visiting Happy Hollow Park and Zoo, catching the lemurs with their arms stretched out laid back in the sun, witnessing the goats make advances at anything that looks like a grass pellet, or seeing Will do whatever he likes, even if it’s nothing at all. And now you know why! Special thanks to Maruyama Zoo and Happy Hollow Park and Zoo for taking care of my precious bears, and to Miyano Mayu who sees the extraordinary in the small things of the world. This is Codaworry, basically one guy’s stream-of-consciousness thoughts on music, systems engineering, network security, and the wider world. There’s plenty more to read and hear, so feel free to look around!